If the new Siri voice assistant feature in iOS 5 isn't recognizing or pronouncing the names of contacts correctly, entering a phonetic name field in the contact may solve the problem. 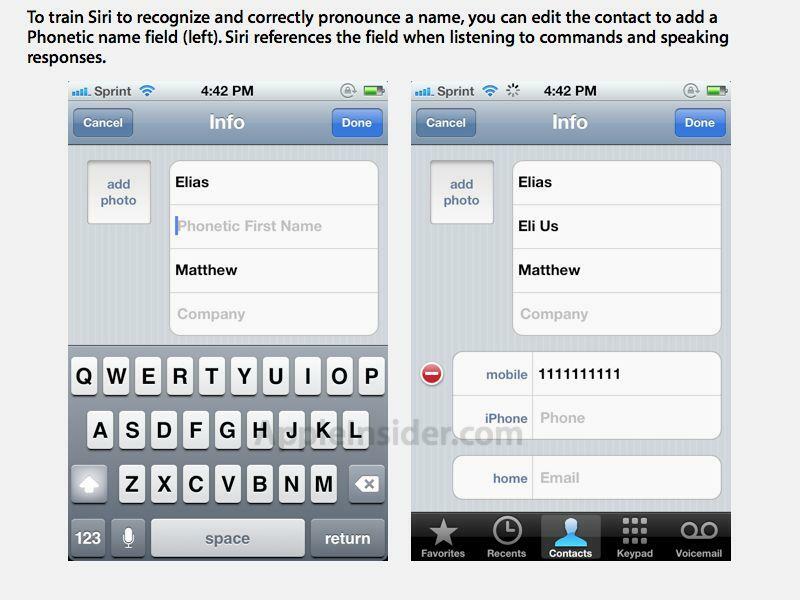 Previous versions of iOS have supported entering optional Phonetic First and Last Name fields, but for the iPhone 4S user, phonetic names are also a useful feature to optimize Siri's accuracy in name recognition and pronunciation. 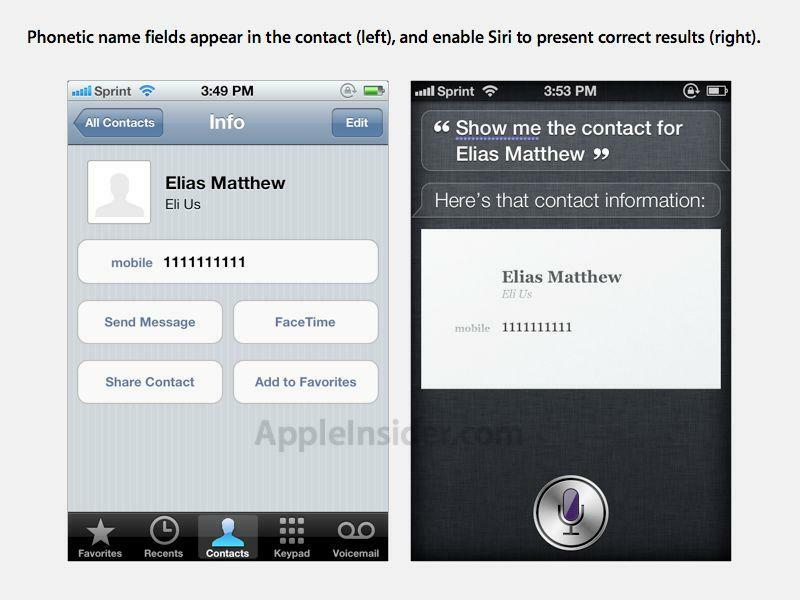 For example, Siri initially failed to recognize a contact named Elias, instead recognizing the name as "Alliance." After entering "Eli Us" as a Phonetic First Name field however, Siri was able to recognize commands referencing the contact. To set a phonetic name, simply edit the contact, select "add field," and then pick either a "Phonetic First Name" or "Phonetic Last Name." It makes sense to use voice dictation when entering in this field to let the iPhone invent the phonetic transcription. After entering a phonetic version of the contact name, Siri correctly recognized the name when referenced in a voice request. Siri voice assistant is one of the primary distinguishing features of the new iPhone 4S released last week, and its development team is reportedly one of the largest groups at Apple.